I had three Crowns installed three years ago. I have had to return on six separate occasions since due to issues;either one of the Crowns cracked or loosened. I also ended up paying almost double what the initial quote was. Today, I came back to have one of the Crowns reseated that loosened and fell out while flossing. I was informed that I would need ANOTHER replacement Crown at my own expense. I will now have to pay my current dentist, of whom I'm confident will properly affix another Crown. I had three Crowns installed three years ago. I have had to return on six separate occasions since due to issues; either one of the Crowns cracked or loosened. I alsoended up paying almost double what the initial quote was. Today, I came back to have one of the Crowns reseated that loosened and fell out while flossing. I was informed that I would need ANOTHER replacement Crown at my own expense. I will now have to pay my current dentist, of whom I'm confident will properly affix another Crown. We scheduled an annual cleaning and they did x rays and wanted to schedule another appointment for the cleaning. I wasable to get cleaned after telling them I could not make another appointment. My husband however they identified a crown and told him that he need to come back for the cleaning and the crown. He went back for his second visit and they did the cleaning and only a temporary crown. He had to schedule another appointment for his crown and he told them he was having severe pain and we had a wedding coming up. When he went back for his crown they completed it but then told him that his pain was coming from another tooth and he would need to come back for another appointment to take care of that. This is ridiculous that they did not identify this before. I feel like they are just trying to make money by billing our insurance for so many appointment visits. We scheduled an annual cleaning and they did x rays and wanted to schedule another appointment for the cleaning. I was able to get cleaned after telling them I could notmake another appointment. My husband however they identified a crown and told him that he need to come back for the cleaning and the crown. He went back for his second visit and they did the cleaning and only a temporary crown. He had to schedule another appointment for his crown and he told them he was having severe pain and we had a wedding coming up. When he went back for his crown they completed it but then told him that his pain was coming from another tooth and he would need to come back for another appointment to take care of that. This is ridiculous that they did not identify this before. I feel like they are just trying to make money by billing our insurance for so many appointment visits. Dr. Beyramian received her Doctorate of Dental Surgery (D.D.S.) from the University of Michigan and graduated at the top of her class. 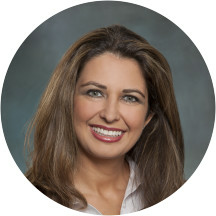 Her continued commitment to her patients and profession is evident from her completion of hundreds of hours of post-graduate training in cosmetic, implant, and sedation dentistry. "I believe that improving my patients' overall dental health through conservative, state of the art dental techniques will have a positive impact on my patients' self-esteem and quality of life. Dr. B takes pride in her highly-trained dental team. Together, they strive to deliver the highest quality of care using the latest materials and technologies. "We believe a healthy smile is the foundation for a beautiful smile. Our multi-lingual dental team (Spanish, French, Arabic, Farsi) will ensure that your visit with us is smooth and comfortable." No one was there. Showed up early and stayed 20 minuets waiting for my appointment. She is great and funny too! So is her staff... They are all very nice. She fixed my 2 back molars in between her other clients i am very thankful! Dr. B was great! Attentive, patient and caring. I’ve been looking for a permanent dentist and I think I may have found her! The staff as well are friendly and welcoming. Top notch service! Best dentist app I ever had. Was made comfortable and aware of my situation without it being shameful. I'll continue with my stays here! Very disappointing experience. Dr. Beyramian was very rude and condescending. Stay away! The staff were very friendly, and they were willing to reschedule my appointment last minute when I woke up with the stomach flu. The x-ray tech I saw was great, but she is the only person I would recommend working with.That'sthe only good things I can say though. I received a crazy treatment plan, and while I understand why SOME of the work was recommended, most of it seemed excessive and it left a really bad first impression with me. They also scheduled me for a late appointment, but failed to mention that the hygienist would not be there that late, and I would have to come back another day for a cleaning. The cleaning was the whole reason I set up the appointment in the first place! I definitely will not be returning to this place. Very disappointed. Apparently their computer system was down during my visit so, they were unable to give me a treatment plan while I was there. I was told by the receptionist that she would call me the next morning with the treatment planand pricing. It's been a week and I have yet to receive a call back from them! Not to mention the office was rather run down with outdated equipment! Needless to say I won't be coming back here! She was awesome, I will definitely be going back! Great visit. They stayed later to accommodate my work schedule and appointment! I appreciated them going the extra mile. Very professional and nice staff. I like how this office just perform more treatments without asking the patient and then charge you later. Dr Beyramian was super pleasant and actually saw me right after my x-rays, instead of having to wait for her after my cleaning, which I thought was really nice. I'm not used to that in a dentist's office. The staff wassuper friendly and the office was inviting. The only thing that troubled me was that I spent a lot of time waiting, first in the waiting room, then after my x rays had been done, then after I saw the Dr, then again when it was time to meet the hygienist. I had anticipated an hour, tops, at the dentist, but it was more like one and a half. However, it was my first appointment and first appointments do tend to take a while, so I probably should have reset my own expectations. In the end, I'll definitely be seeing Dr Beyramian again. Not only was Dr. Beyramian the nicest, most down to earth dentist that I have ever been to, but her office staff was just as wonderful. Very friendly and helpful, which made my dental experience very calm and completely stress-free. Great Staff OMG the friendliest! This is the 4th dentist I've seen since I moved here a year ago.....However you know how you know that you know, well I got lucky! 4th time a charm!!! Dr. Beyramian is awesome! Very professional and very caring! I couldn't have asked for a better dentist. Doctor was extremely nice, although news was not great! I only hope that I can afford to have services done. Very professional and personable. Highly recommend! did not like, trying to push more expensive work to be done, i know she is in clinc with other Doctors to make money instead of patient satisfaction. My dentist in Michigan been in dentist for 30 + years, not the15 yrs she said was in, she said she knew more dentery then her. The staff was professional & courteous. They explained everything each step of the way and I'll certainly be back soon! My visit went very smooth. Hardly waited at all to be seen. Had a quick consultation and was scheduled for a follow up procedure later the same day. Bedside manner was excellent! Good overall assessment. Great use of technology and explanation. Limited appointment availability, only Tues and Wed. Overall I had a good experiance came in for a root canal and crown, i was out in aprox 3'hours, with a temporary cap . Friendly staff and meriam is a graet dentist. It was great. I don't like the receptionist because he's not understanding and explanatory of my options. He made it seem as if he didnt want my business. It was great! I was looking for a new dentist and I definitely have the right one. When I walked in, John shook my hand and introduced himself, first thing. I was so surprised by that simple action, I was left speechless. He is witty and makes you feel like you have known him for years. The officeis very comfortable, and you can tell someone cares about the way it looks and feels. Dr.B was great- showed me what was going on and what needed to be done, made lots of eye contact, and didn't once make me feel guilty for the way I treat my teeth. I will be back next week to have lots of work done, and I'm almost excited, because I know I will be so well taken care of. The Dr. I saw was Dr. Fehmi, he is very professional and thorough. His staff is also very friendly, epecially the gentleman who takes care of all the insurance forms and benefits, he is the best!! She's a fantastic doctor and has a really great staff. Dr. B. was wonderful! Very kind and informative. She answered all of my questions. I would highly recommend Dr. B. and would return. Dr. was very helpful re my concerns and provided the education as well as a referral to a specialist appropriate for my ongoing care. Staff was terrific. Dr. Beyramian was wonderful! and her entire staff was as well! They took the time to explain things that no one else has ever done! I am looking forward to a lasting relationship with her and her staff!